This is the story of Anna, a child whose worries get the best of her. As her worries grow, Anna wants to stick close to home. She develops stomachaches, asks endless questions of her parents, and no longer wants to play with friends. 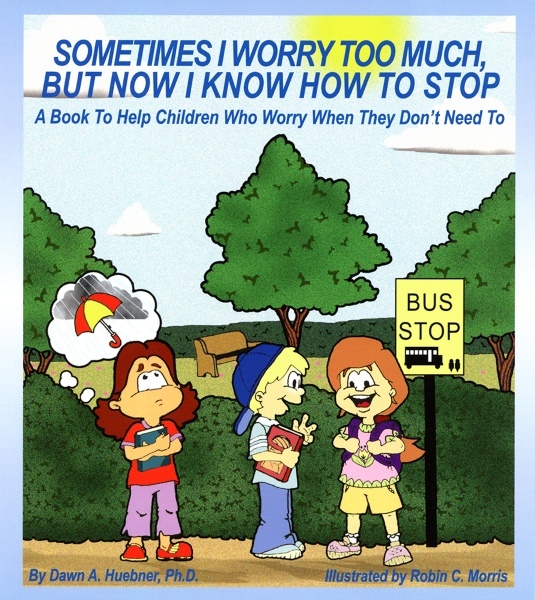 Anna is frustrated when adults tell her to just stop worrying, a task that seems impossible to her. Anna meets a psychologist who teaches her cognitive-behavioral techniques to use when worries arise. 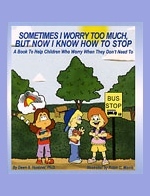 These techniques are presented in enough detail to allow children reading the book to learn, as Anna learns, how to control worries. Published by Childswork/Childsplay with illustrations by Robin C. Morris.